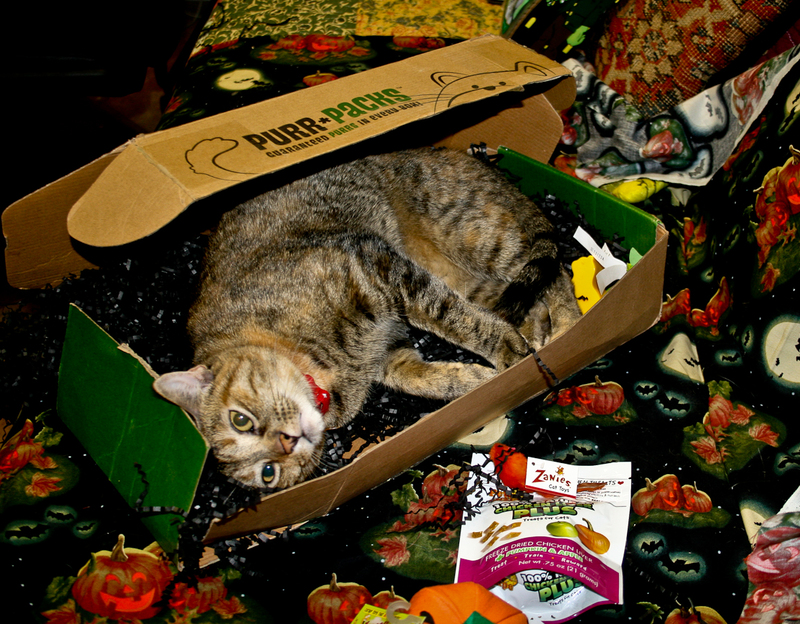 Y'all got a pawsum purr pack too. 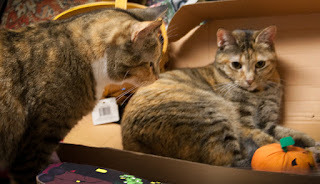 Isn't it just wunnewful? Weez so luvved ours. 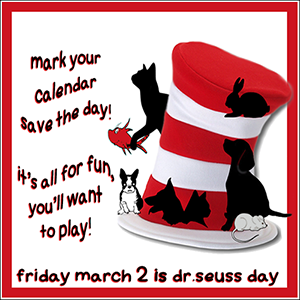 Enjoy and have fun. 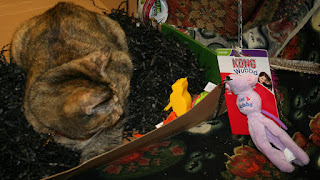 That's a pawsome box of kitty stuff!! 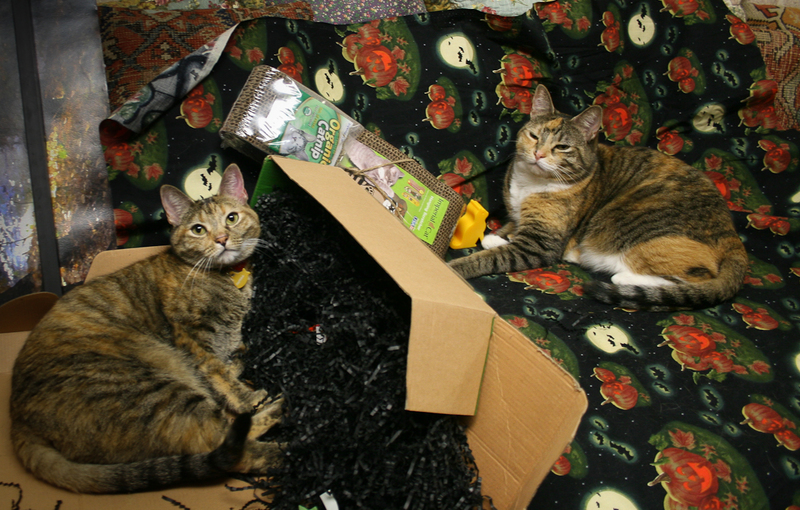 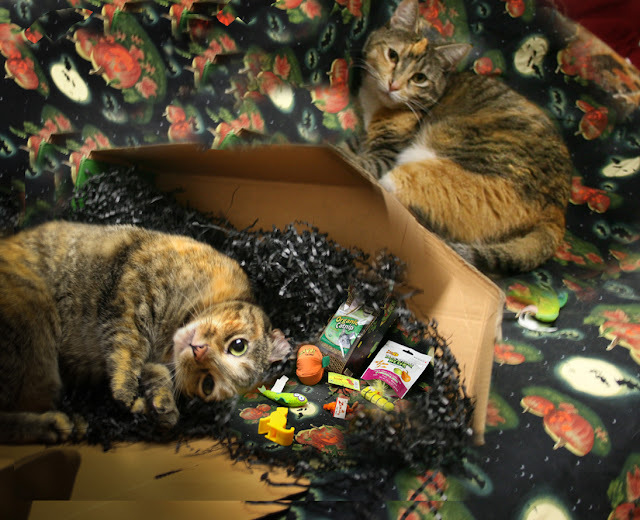 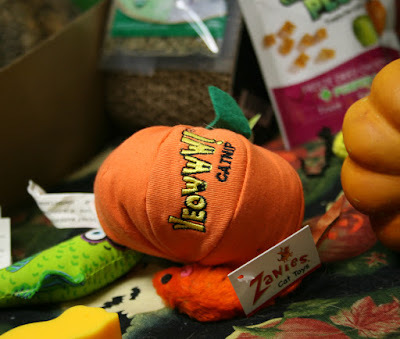 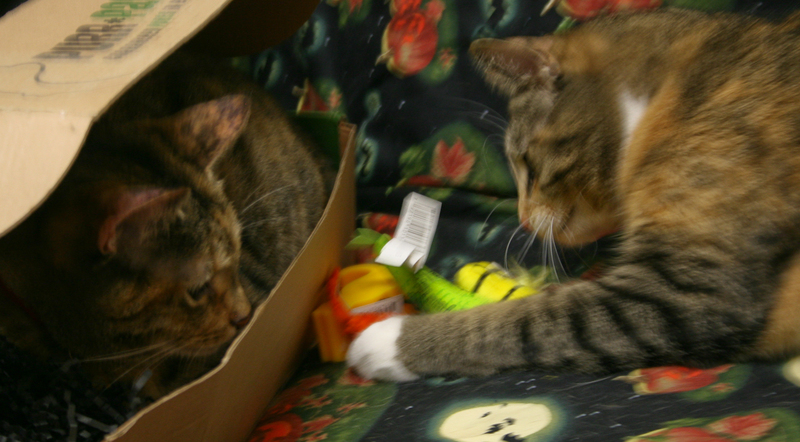 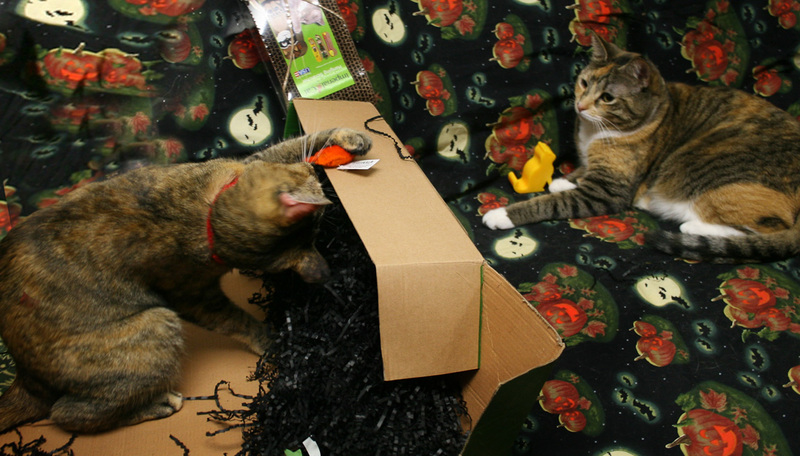 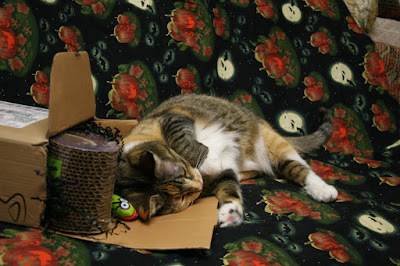 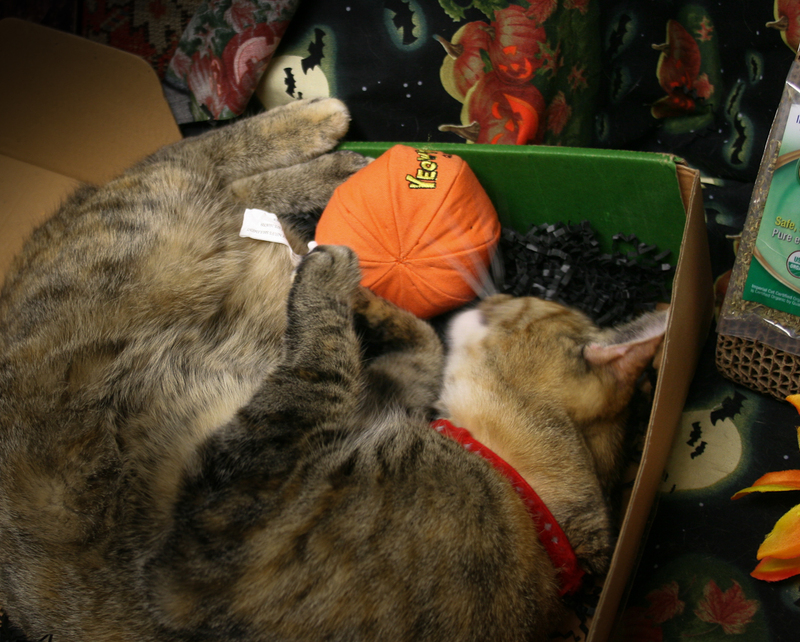 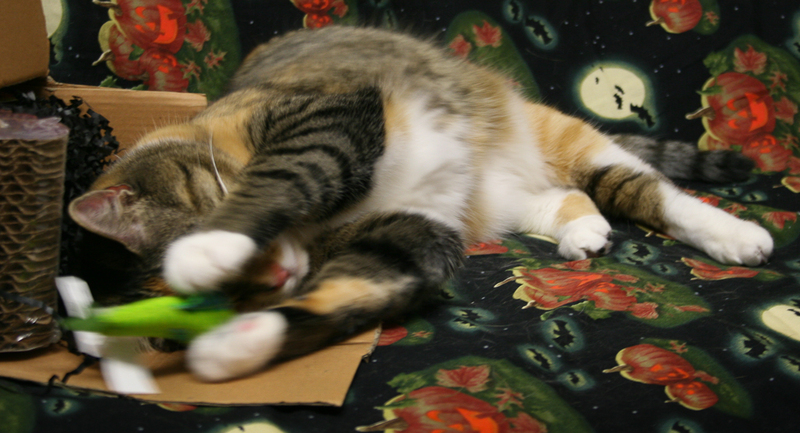 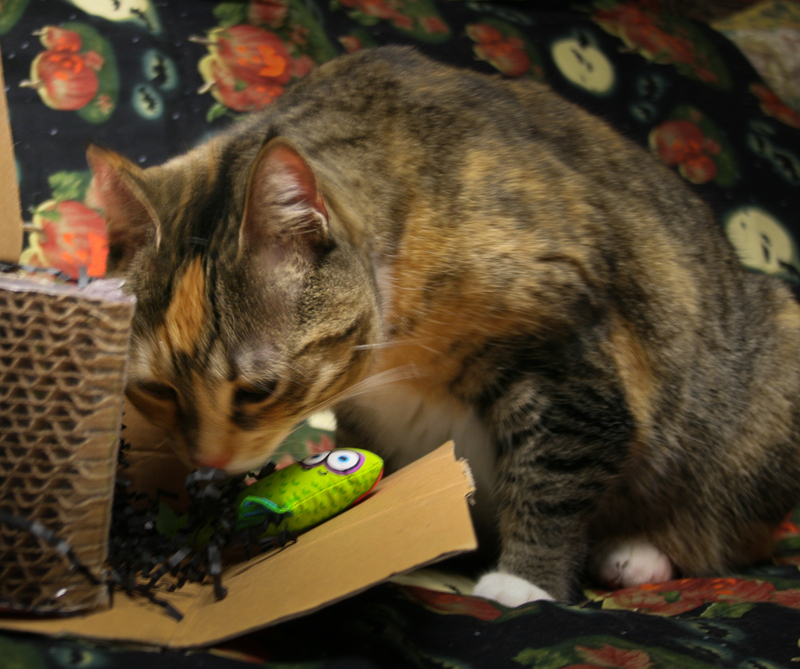 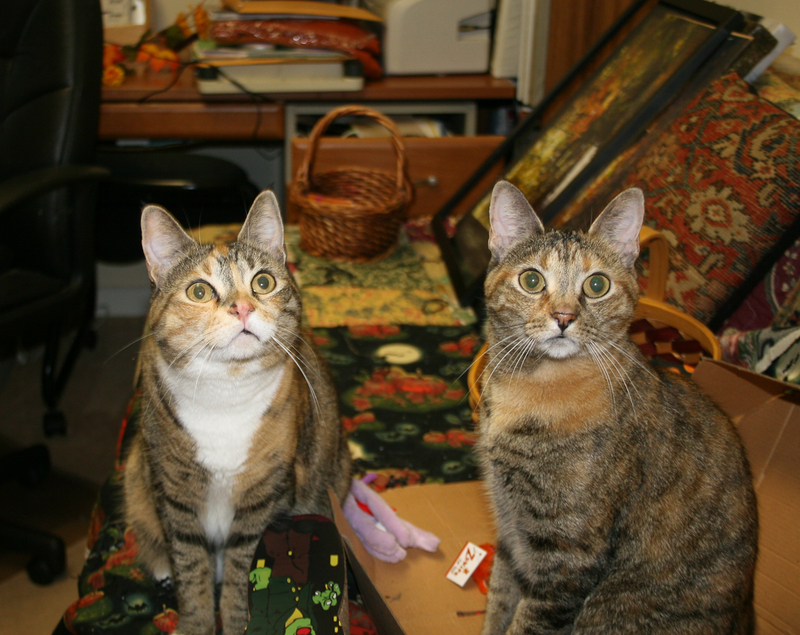 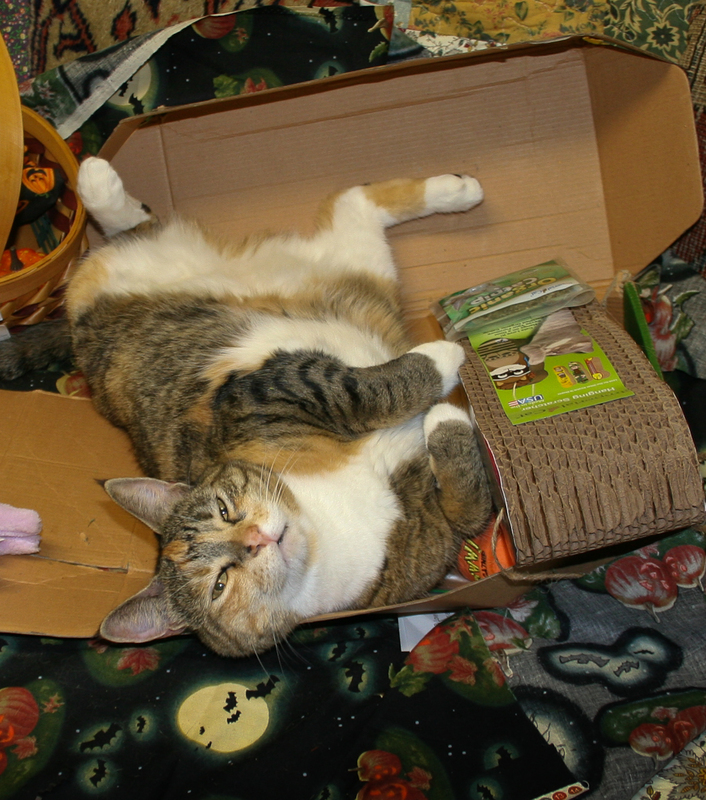 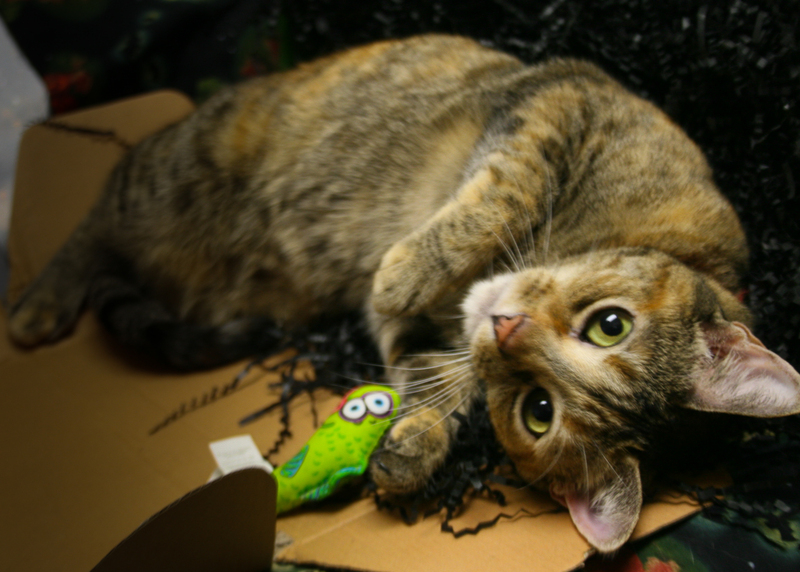 Oh my goodness you two are adorable and purrfect for the Halloween Purr Pack! 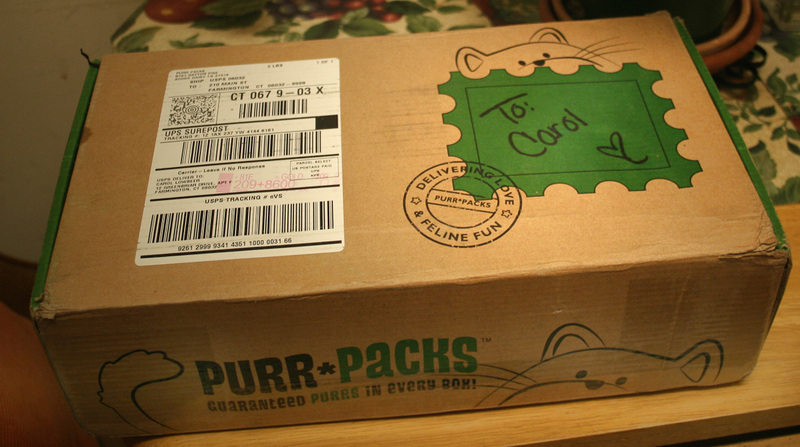 Aren't Purr Packs the greatest??? 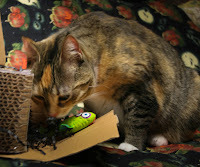 Mudpie was just crazy about hers. 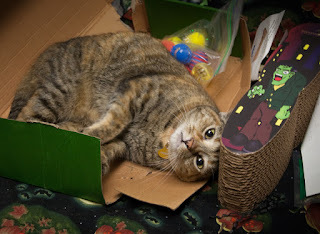 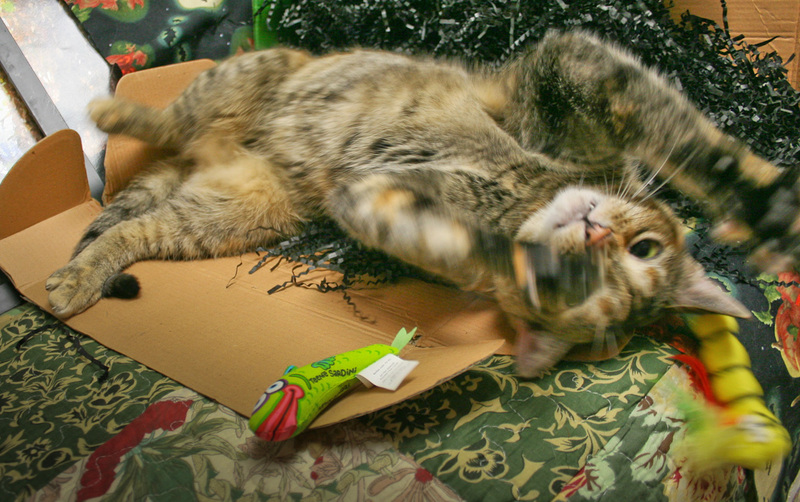 We especially love the scratcher that you got! 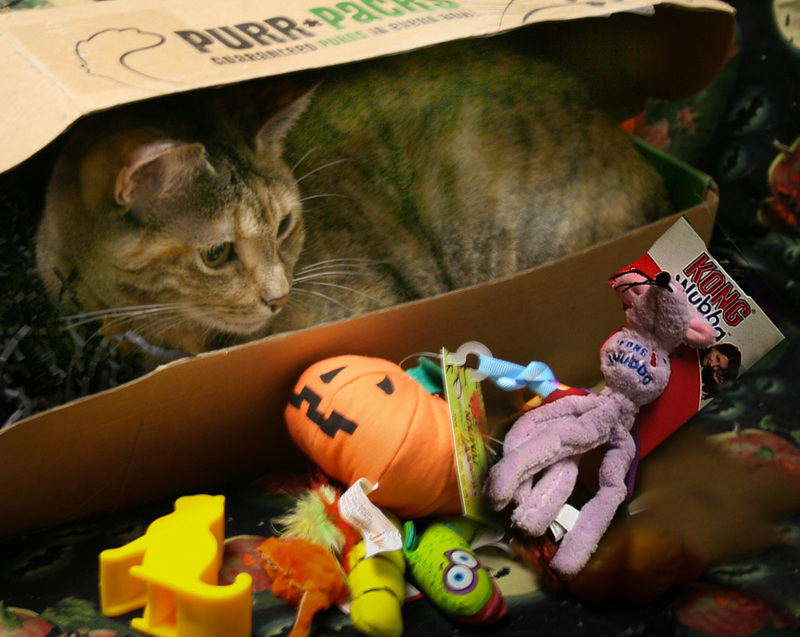 What a pawsome assortment of goodies. You two look so sweet checking things out together. 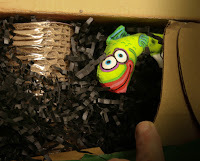 That is all so wunnerful-cool stuff. 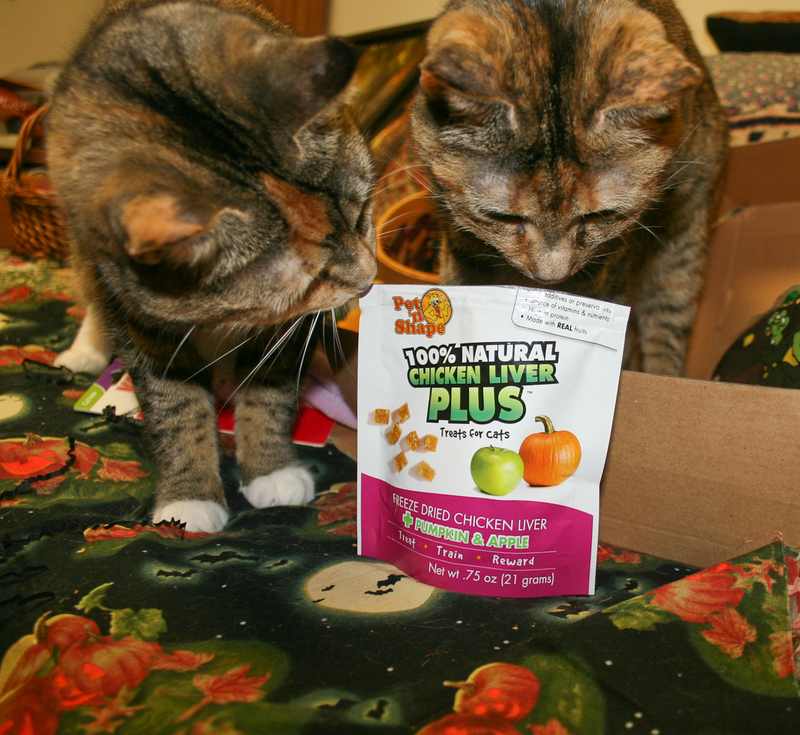 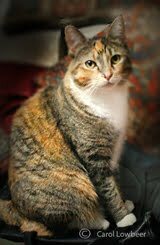 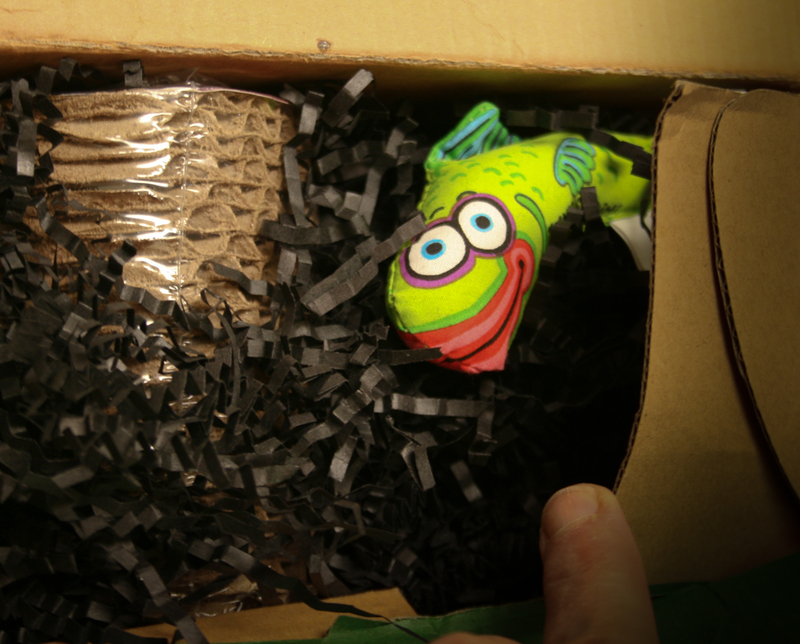 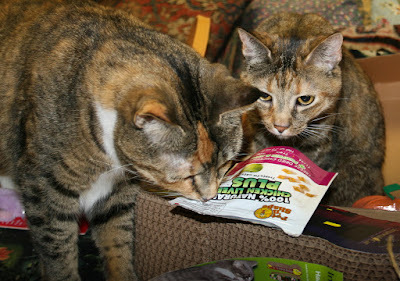 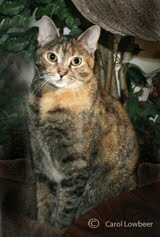 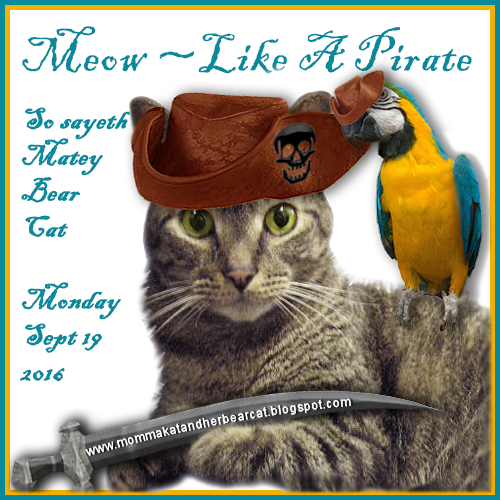 We are waiting fer our first Purr-Pack here so we can show it off too.